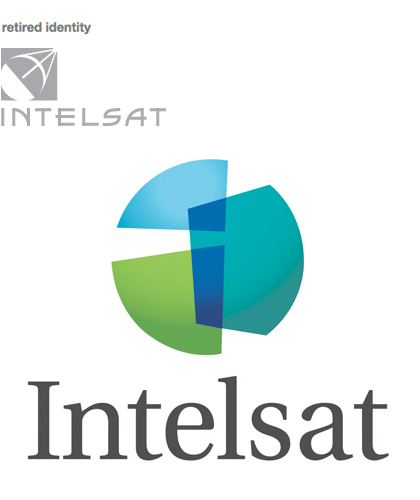 Intelsat is a Washington, D.C.–based $3 billion global commercial cooperative that provides a complete range of business-to-business satellite services—from narrow band voice and data applications to broad band Internet links. Intelsat connects customers in 214 countries and provides the orbital backbone of the global information economy. Research revealed a uniform perception of Intelsat as a technically adept, but slow moving political machine, weighed down by years of bureaucracy. It was seen as customer-insensitive, partly due to its structural legacy and signatory-based distribution channels. Further, respondents generally categorized the Intelsat satellite dish symbol as ordinary and dated. Today, the Intelsat identity is a mosaic globe made up of different surfaces—or regions of the world. The overlap forms an “i” for Intelsat, and suggests that Intelsat ensures global connectivity and understands local needs. The positioning “Where the earth meets the sky” describes Intelsat as a company committed to bringing the world’s communities closer together through flexible, innovative communications solutions.